Hi everyone! It’s been such a busy period over the last two months and guess who also had a brand new hair makeover? That’s me (haha). 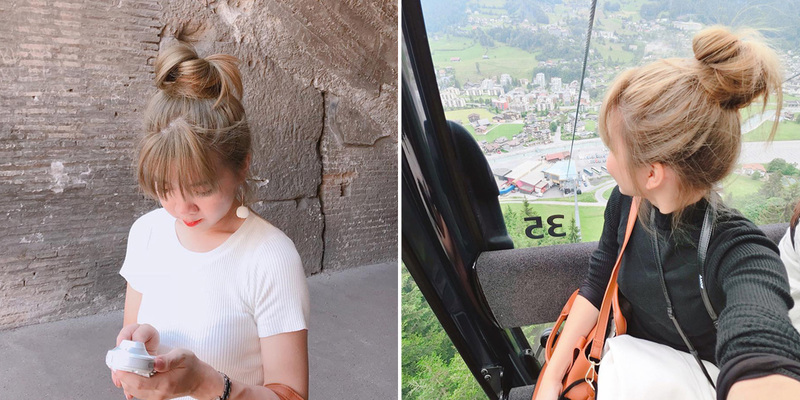 I went to Europe for a good two-weeks holiday in June, (which I’m going to blog all about it in my upcoming entries) and just before I flew, I went down to Yann Beyrie salon to revive my hair. I’m quite sure all of you remembers Zenn (you can spot her in the video). She’s been my hairstylist ever since 2014 when I was with Shunji Matsuo to Kenjo Salon over the last 4 years, and she is now a stylist designer at Yann Beyrie Salon, a very modern and luxe French salon at Wisma Atria. A little bit about the salon, it was newly opened last year by Yann Beyrie (previously Creative Director at Tony & Guy, Trevor Sorbie London and Vidal Sasson London). While in Paris, New York and London, Yann himself collaborated with top hairstylists, photographers, and designers to create hair trends, looks and hairstyles. Little did you know (and, did I know), Yann also showcased his work for several fashion magazines and shows - together with celebrities like Justin Timberlake, Jean Paul Gaultier, Vivienne Westwood, and more. (I mean, Yann is just such a humble person to talk to in RL?) 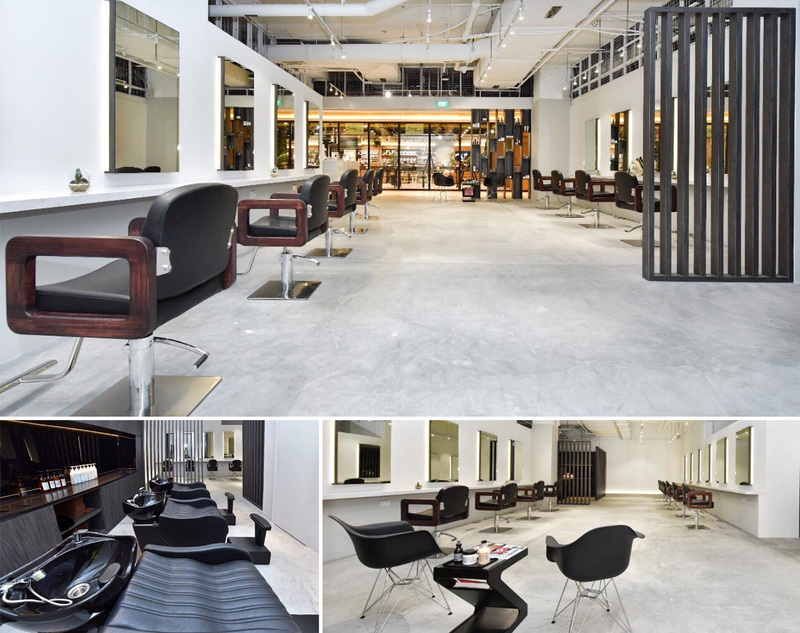 So today, Yann Beyrie salon at Wisma Atria, Orchard is his very first and prestigious salon in SEA. And then there’s me. I have been keeping my hair long for as long as I can remember. Pretty sure they were neglected for a good while as I have not done any cut or coloring as well for the last 8 months - which you can totally tell from all my black roots. Zenn even said that I have given up on my hair (haha). So! This is going to be the last picture of my unsightly hair before Zenn works her magic. For a change this time, I filmed down the entire session when I was at Yann Beyrie Salon so you can view the process all in the video above! On a side note, this my first attempt to vlogging! I mean, I’ve done a few video edits couple of years back but obviously, I didn’t had any idea what I was doing back then. And now when I wanted to edit my video footages, did you know that Windows Live Movie Maker are no longer a thing?? Like they were discontinued and long gone. Hence this video took a little bit more time as I had a real challenge looking around for a new video editing software to work with (doesn’t helps that I am not the best tech-savvy person out there too). After a few tries here and there, I self-taught myself on Adobe Premier Pro and I am kind of low-key proud of myself. Hey, not easy to self learn a whole new software okay? But it was a great deal of fun so I’m gonna do it more often. Back to topic, just look at what Zenn did for me! I simply texted her beforehand saying that I wanted a lighter hair color, and to fix my fringe that was half long, half short. So usually I will just go with what she suggests simply because I trust her more than I trust my own hair-judgement. I don’t know how she does it, but she just makes you feel like a million bucks when she’s done? Zenn snipped off a good length off and worked some layers into the body of hair (my old hairstyle looks too flat and rigid, doesn’t helps anything when I have a round face too). I’ll get to the my fringe and hair color in just a bit. Ahhh, I don’t know what kind of fringe is this called but all I know is that it fits me to a perfect T?? Zenn did explain to me while she was doing my fringe, but all I remembered was she saying “… in this way, your fringe will frame your facial features better now and gives you a V-shape face”. I can’t remember how many times in the past where I had my fringe stuck to my forehead in clumps (thanks to puberty when I had oily scalp and oily skin), followed by keeping my fringe long to avoid that (then again long fringe gave me an illusion of an even rounder face fml). Then cutting them short again from time to time, but there was just something about the cut every time previously that just wasn’t THE fringe that I wanted. The fringe will always look fab in the salon but 2 days later, I can’t manage it or blow-dry it to the desired effect on my own. Oops I’m sorry guys, is this boring you out? Haha but hey, this is what that bothers us all ladies okay. And not all hairstylists can understand what we want or visualise in our head (haha). I don’t know what kind of fringe-cut this is, but I think you can look for Zenn at Yann Beyrie Salon and simply show her my picture. And then there is the hair coloring. From my black roots and a head of un-even faded brown hair, I left the salon with a new ash-blonde color like this. I honestly can’t ask for more? Zenn did some color profiling for me (you can see from the video) before she decides on the color tones. And all it took was a single session of bleaching and what I like to call: Zenn’s secret recipe mix of creative tones (haha). All I know is there’s some touch of jaded mint green in her mix, and I honestly do not know what’s the other tones. As it is an ash-blonde (or brown, if you call it), it’s always a different color while indoors – as per video – and outdoors. I took these pictures during my Europe trip and these are the colors under natural sunlight. My hair just looks so pretty. This is what I refer to when I say she makes you feel like a million bucks. (or more). Thank you Zenn for the super amazing work done for me! And heartfelt appreciations and thank you to Yann Beyrie Salon who will be taking good care of my hair from now on as my hair sponsor. 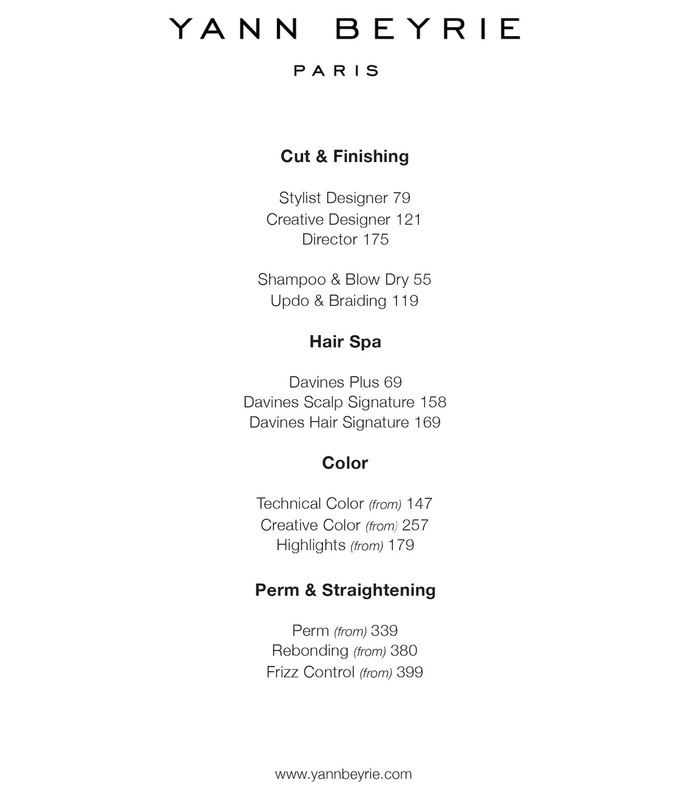 I have actually put these up on Instagram and Facebook previously, so for those who have DM-ed me to inquire about my haircut and color, here’s the price list at Yann Beyrie Salon! I personally like this a lot because there is no price difference if you have super long tresses (like I do). 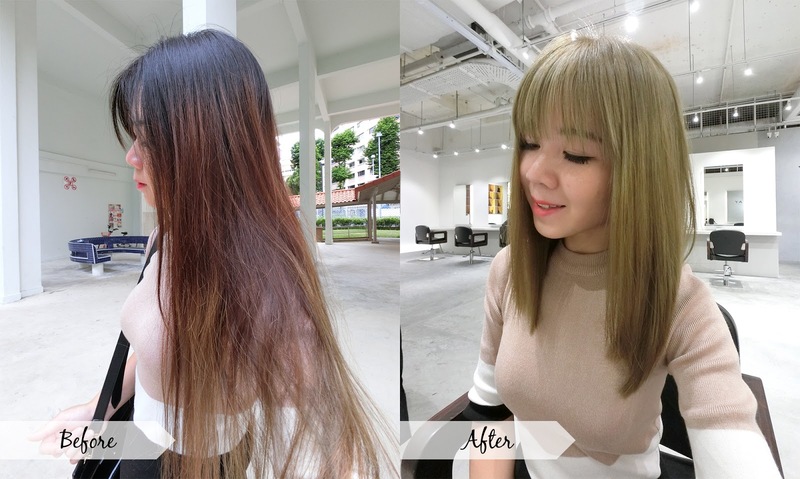 Technical and Creative Hair Coloring is only from $147 to $257 respectively (before discount), though that would exclude the bleaching process (you can do a consultation with Zenn first on your preferred hair color before deciding) – just feel free to give them a call to inquire! On top of that, you can also simply show them this blog post / mention my name “Jaslin” to enjoy 20% off all hair services at Yann Beyrie Salon. P.S. Remember to request for Zenn Tan as your stylist if you are booking an appointment! wow! i can tell that their service is great! If ever you are in need of any sort of spy or hack related services such as if you need to find out about a cheating partner or spouse; spy and track on anyone, track and monitor GPS location, recover lost or stolen password, change and boost exam scores and grades and many more; etc find (hackerlounge.net) on your browsers URL box through your PC. They provide solution to all spy and hack needs. They are the best. You have given a nice review which are very helpful in hair treatment. Making The world free from poverty is what we aim. You got complete different look after the treatment. This was the nice review of the salon. This is a salon with nice barner and great styles and great trends.